Oil shales are low calorific fuels leaving upon processing large amounts of solid waste with limited secondary use, mostly because of low self-cementitious properties. 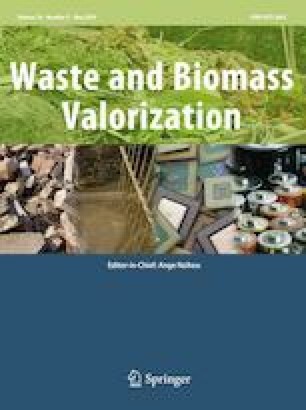 In this paper, alkali activation of the waste remaining after shale oil retorting in solid-heat-carrier plants was investigated to improve the cementitious properties of this waste. The formation of secondary silicate binder phases was studied in samples activated with NaOH, Na-silicate and modified Na-silicate solutions. In mixtures with Na-silicate activator highest uniaxial compressive strength and formation of a calcium-aluminium-silicate-hydrate gel was observed and characterized according to 29Si MAS-NMR and ATR-FTIR spectra as mainly consisting of polymeric silicate middle groups (Q2), and Al substituted Q3 and Q4 species indicative of geopolymerisation. NaOH activation was not sufficient to fully dissolve the amorphous phase present in the source material and only chain silicate structures with minimal crosslinkage were formed. The results indicate that the solid-heat-carrier ash from shale oil retorting exhibits geopolymeric properties on activation with Na-silicate based activators and that, with optimisation of mixing and curing conditions, provides chemically stable composite that can be used for waste stabilization or low strength construction applications. We would like to thank Viru Keemia Grupp AS for providing the material for this study. This study was supported by Estonian Research Council Grant IUT23-7 to (I. H.).